25 years? Where does time go... seems like it was but yesterday I was reading in foreign gaming magazines all about Nintendo's new portable gaming console, the Game Boy. A brick that promised portable style NES games in four shades of green on the go, fathered by none other than legendary handyman Gunpei Yokoi. Ah, but look at me talk and talk like an old man which I am certainly not instead of pointing you towards those important download links. " 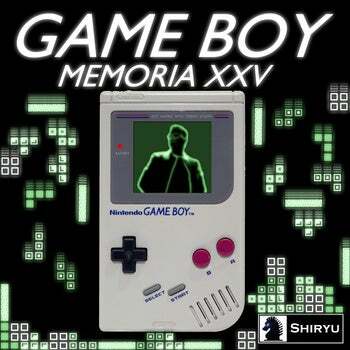 Game Boy Memoria XXV" is a double disc tribute LP to the 25 years of Nintendo's Game Boy and a tribute in memory of Gunpei Yokoi. Now you know where great many days from my vacation went. These are just 20 simple covers/remixes from themes of twenty of my personal favourite games on the system, but there are indeed so many more to discover. I'm really glad I managed to finish this one, just like the tribute albums I previously made for NES, SNES and Megadrive.